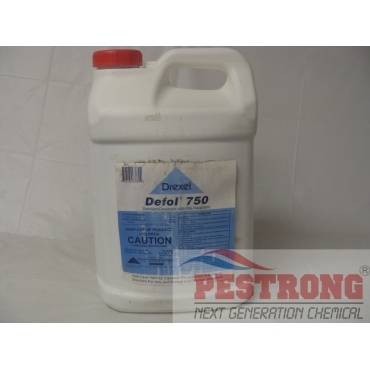 Where to Buy Defol 750, Defol 750 Defoliant Desiccant Fire Retardant - 2.5 Gal - $74.95 for Sale with Fast Free Shipping! Did you find a cheaper price? Request price matching! Defol 750 Defoliant Desiccant Fire Retardant - 2.5 Gal is a Defoliant & Desiccant for use in a variety of Field crops that improves harvest efficiency by reducing harvest moisture more rapidly than natural dry-down. By buying this product & leave product review you can collect normally 7 reward points as a voucher of $0.70(1%). Grubs Away Generic Merit 0.5G Insecticide -..
We will ship DeFol 750 Only, but may ship DeFol 5 by your request, Both are made by Drexel with different rate of A.I. If you want us ship DeFol 5, leave message "Defol 5" when place order. Will Defol 5 or 750 kill weeds in my crop before harvest? Defol 5 or Defol 750 is erratic in the desiccation of Morning Glory and other vines. Does Defol 750 work in cool temperatures? Defol 5 or Defol 750 works best under high temperatures with high humidity. Defoliation may be slowed if daytime temperatures are below 60°F. When is this product rainfast? If rainfall is anticipated within twenty-four hours, the application of Defol 5 or Defol 750 should be delayed. All registered users can post a new review. Nice affordable choice to control pests to protect your fruits, I like it because it's not some kind of chemical I don't even know what kind of effect it could have in my fruits it's natural oil, and it makes me feel safe to use on fruits. Copyright© 2007-2018 Pestrong.com -- Top Leader of Wholesale Do It Yourself Pest Weed Control Supplies. Powered by KORUSA Pest Control, Inc.